I’m able to see and hear information about what’s going on underneath the surface for you. Things that you can’t seem to get at, that you want to understand more and get clarity on, so you can ultimately feel in alignment with the truth of who you are and what you want. I’ve always been a good read of people. For the last 20 years, I’ve worked with clients, fine tuning and honing in on very specific details to help them change their lives. Here’s the story of how I discovered I was psychic. 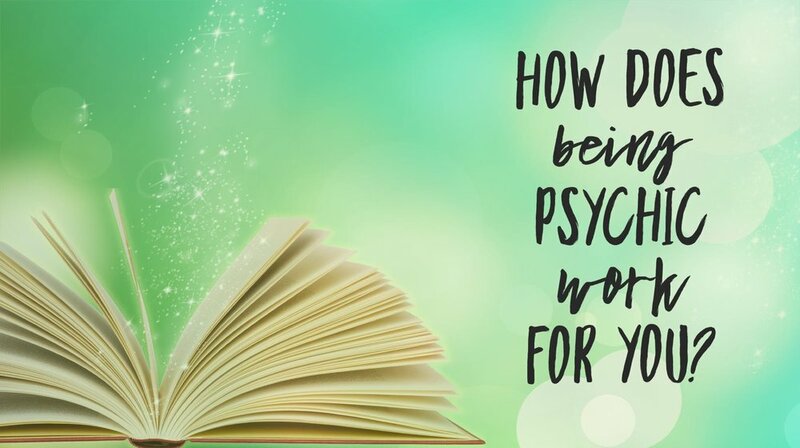 Being psychic is about perceiving, reading, and understanding energy. It makes the intangible, tangible. Think about it. We all generally have a “sense” of people. We are drawn to some and repelled from others. We walk into a room and can get a feel for the energy there. These images - or what I call pictures - change all the time depending on what’s being triggered internally (say you have a thought that sets off a chain reaction of thoughts) or externally (for example a loud noise happens unexpectedly and brings up a memory). The pictures also change when you ask me a question. By doing so, you focus your energy in such a way that allows me to see the answer. So, the cliche statement of we all have the answers within is actually true. I just happen to know how to “read” them and get to reflect them back to you. The goal of a session is to help liberate you from where you feel stuck so you can instead feel clear, aligned with your truth, and grow more fully into your potential. Essentially, I translate your best life to you and show you how to get there. To read about how I discovered my psychic ability, go here. To know what to expect in a session, go here. To find out what you can ask me about, go here. To see how coaching fits in a session, go here. To know how to best prep for a session, go here. To get a glimpse of my story, hop on over here. Find other various FAQs, go here.